Participants recorded their reflections during the event. The body can be messy, inconvenient and unpredictable. When you’re a scholar, the body can also be suspected of disrupting the research process. Academic cultures tend to negotiate the body by making it invisible – ignoring how it looks, moves and feels. In this workshop, we explored what it means to be an embodied researcher. What is the relationship between our bodies and our work lives? How can we understand the roles of the body in research? In what ways do these roles differ depending on our subject or method? 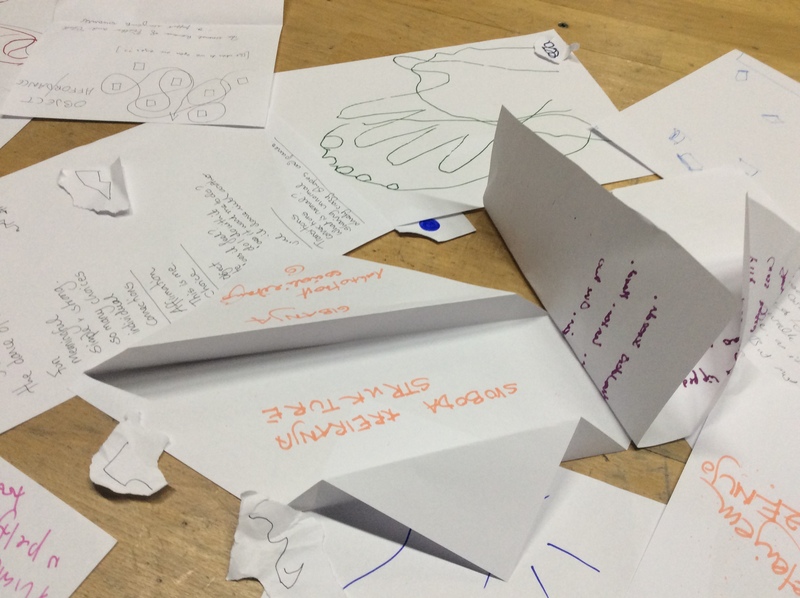 Facilitated by independent dance artist Cecilia Macfarlane and sociologist Juliet Rayment (City University London), this participatory workshop included both movement and discussion. ‘The Body in Mind: Reflections on Research Embodiment’ took place on 25 February 2015, 5.30pm-7.00pm, at the Jacqueline du Pré Building, St Hilda’s College, Oxford.